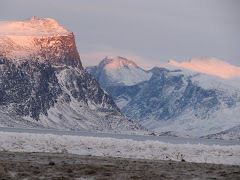 Pangnirtung Bound: I want pictures! Grrr...I have some great stories to tell. Well, things that I feel like writing about anyway. Unfortunately, I think my monthly gigs are almost up (that's what I get for downloading all those audiobooks); it looks as though I'll have to call to get some more internet usage, then write my stories. I have pictures that they just won't do without. Tomorrow night, I suppose.